BCAA formulas don't get much better than this. Vegan, non-GMO and gluten free. No soy or dairy. Sourced from whole foods. Ketatin free. Do you know where your aminos come from? You can rest assured that we source only the highest quality non-GMO, plant based BCAA's on the planet! 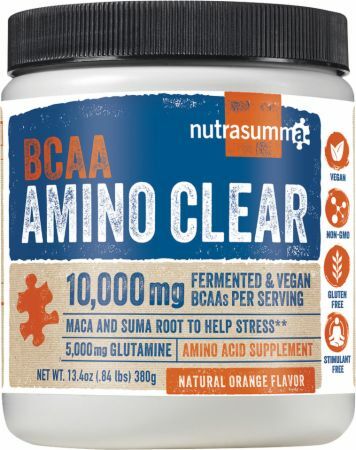 No BCAA Amino Clear Reviews Found. 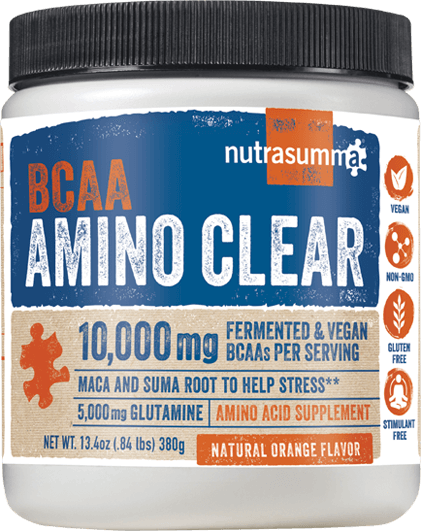 Directions For BCAA Amino Clear: Mix one scoop (19g) in 4-6 fluid ounces of water or juice. May be taken any time. 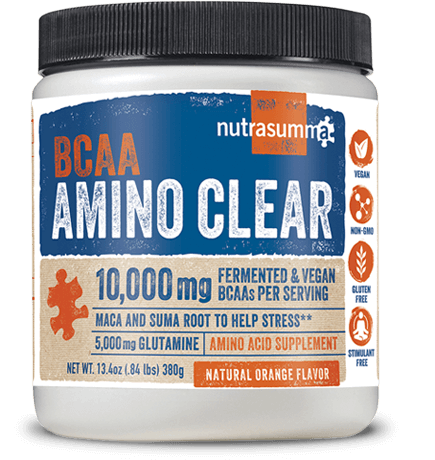 For best results, take Amino Clear before, during or after exercise. Ask your health care provider what is right for you.